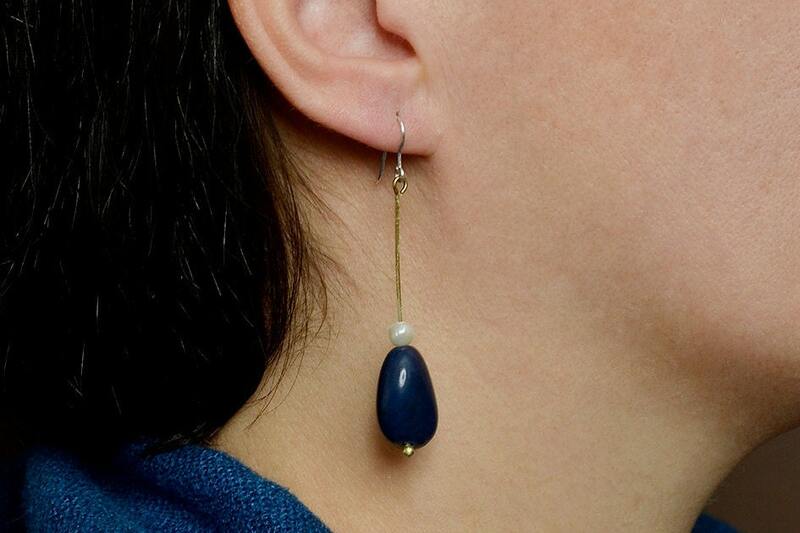 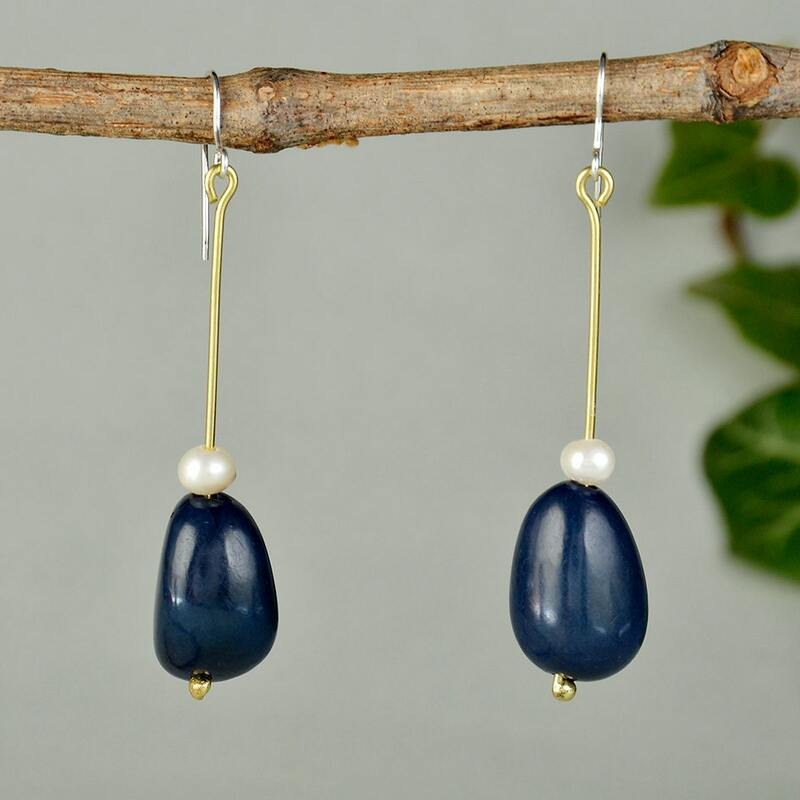 Navy blue pearl tagua earrings with sterling silver hooks and clasps. 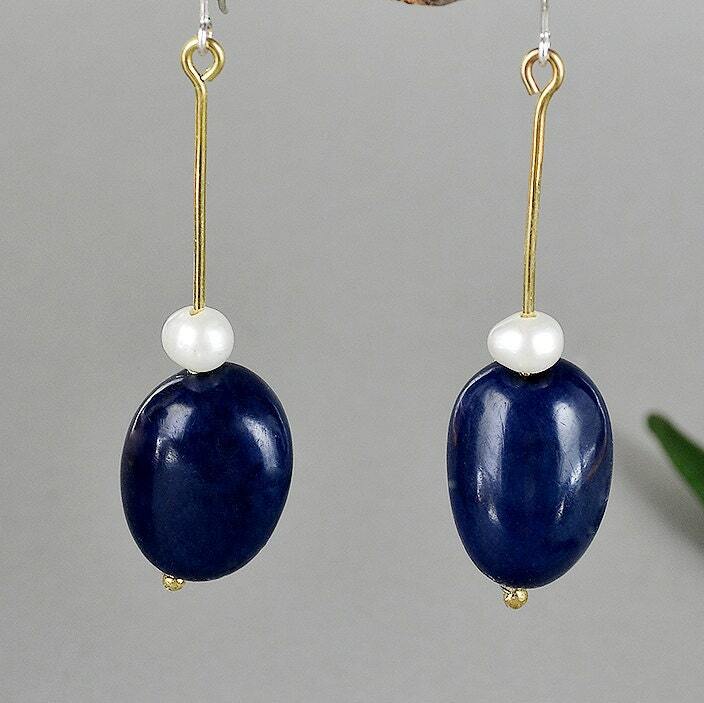 If you are looking for a teardrop beaded jewelry these boho ethnic long oval earrings are a great choice. 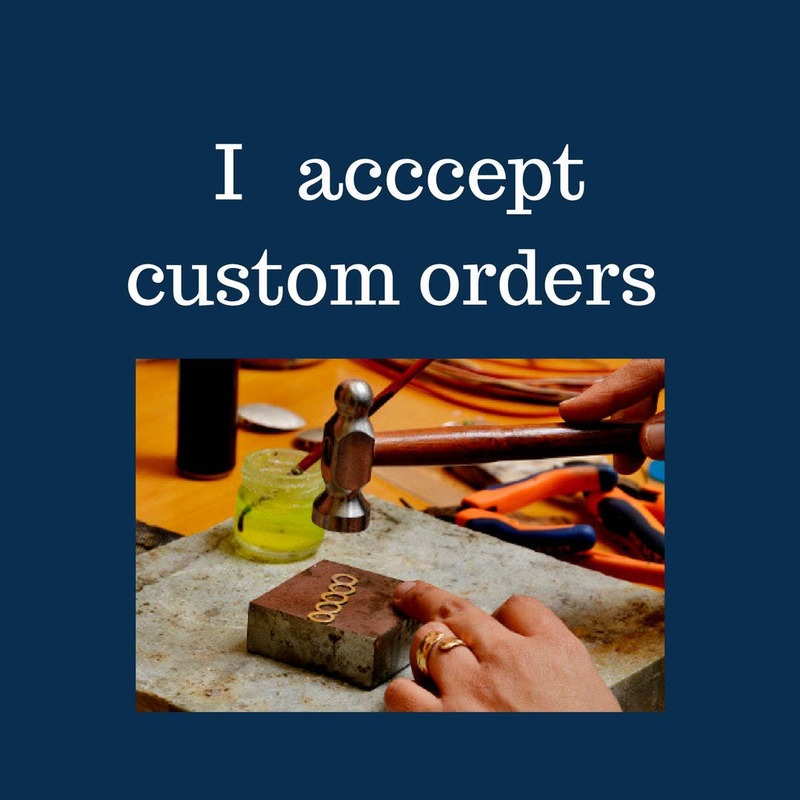 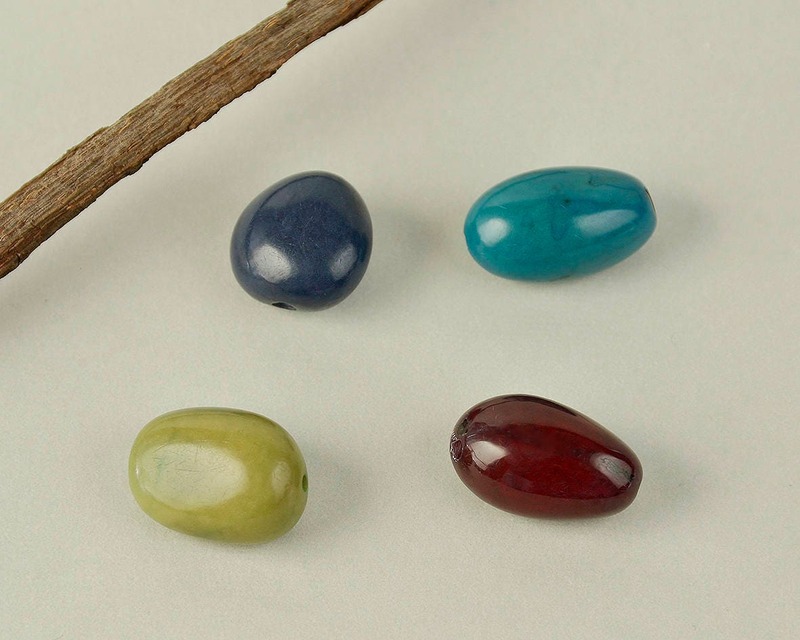 I take these original and natural nuts that are found in palm trees in the South American Amazon and combine them with semi precious stones to make fun and unique earrings. 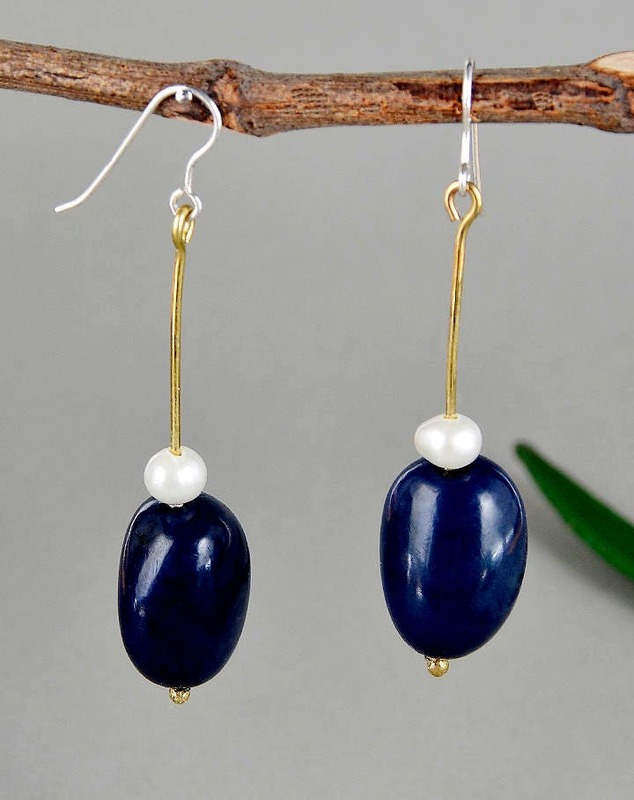 Our tagua nut jewelry (vegetable ivory nut) is made from ivory palms in South America. 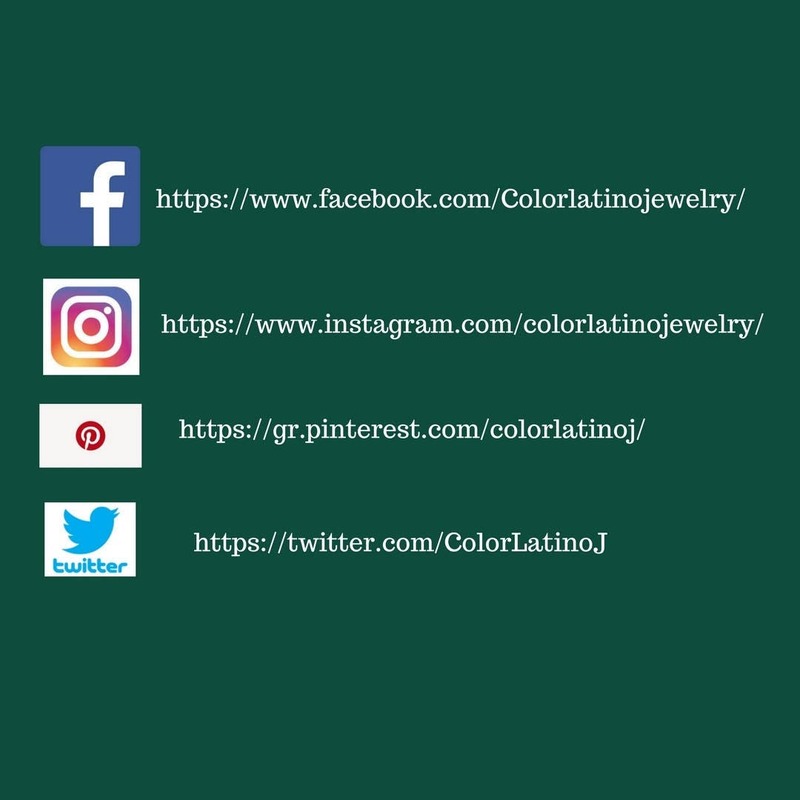 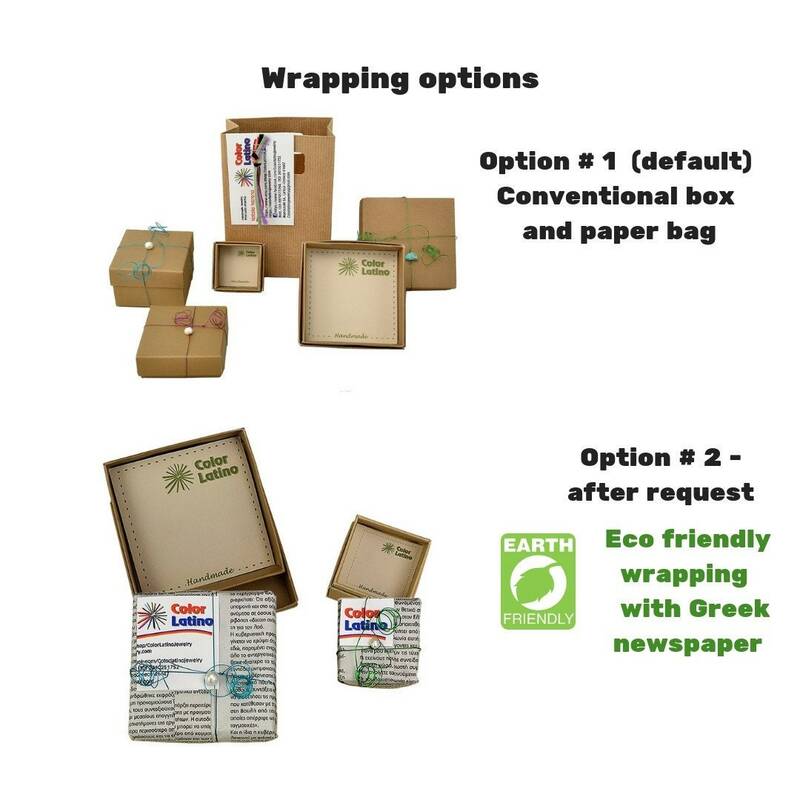 Ecological jewelry which helps with rain forest conservation in South America.